Any entrepreneur can search on Google – “buy retail equipment,” choose one company out of hundreds of offered links and get displays in 3 days. Those displays may even fit into the design of the project and be quite versatile. 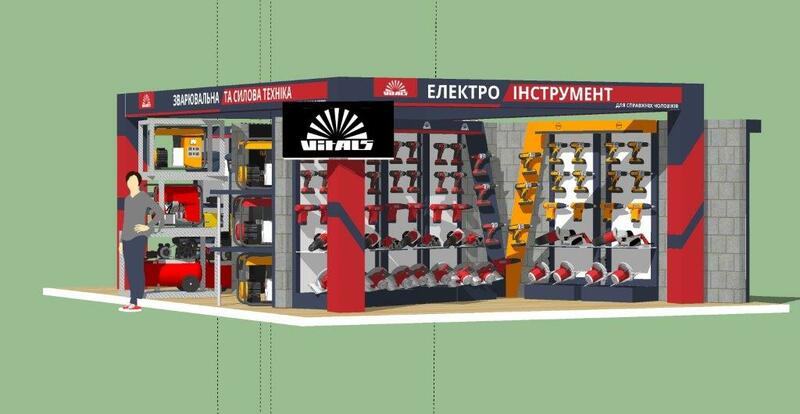 But in order to avoid any “mays and ifs”, it is better to think through the look and convenience of trade equipment from scratch: develop a sketch, choose the color and materials. 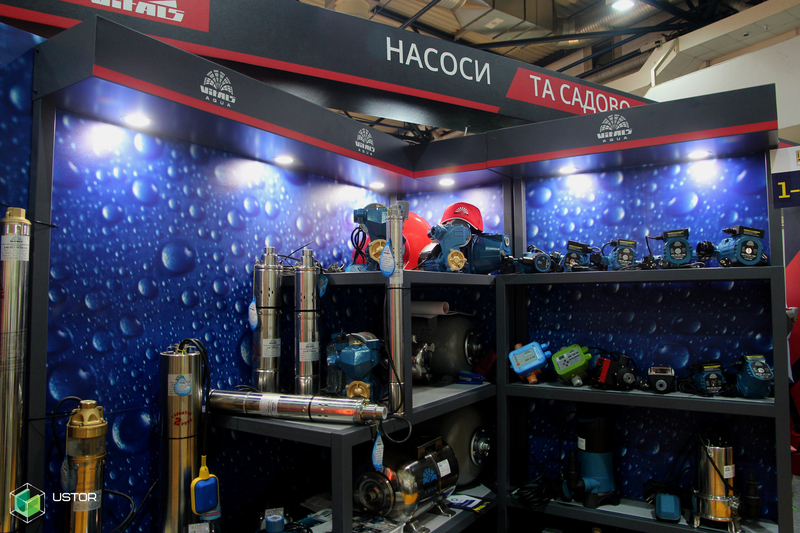 Especially if these displays should attract the attention of the visitors at the exhibitions. 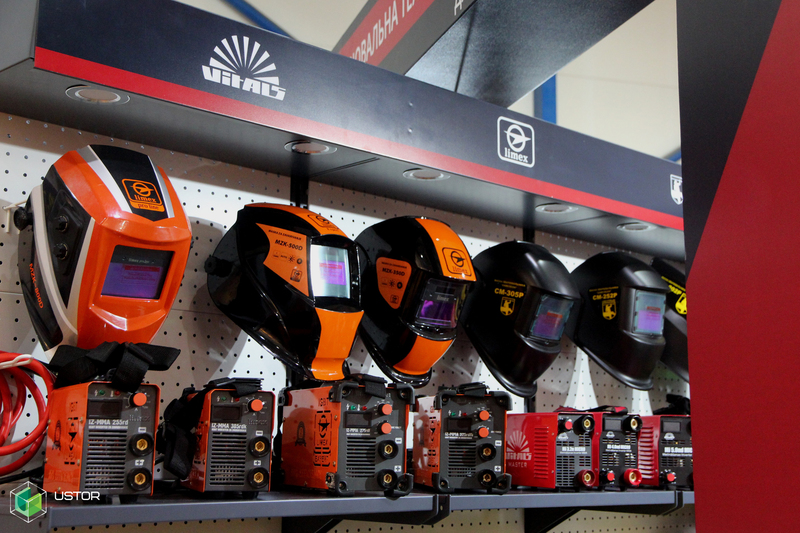 The Vitals brand has been on the market for more than 25 years, and their range of products include pumps, motors, abrasive discs, power tools, and so on. The Latvian brand is well-known in our country, its products can be bought both in small online shops and large offline stores. 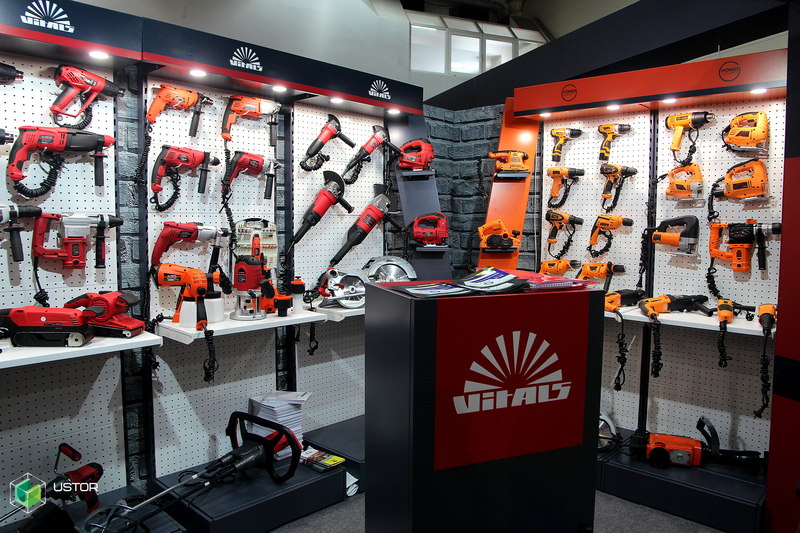 Also, Vitals tools can be evaluated at specialized foreign and domestic exhibitions. For one of such events, we produced displays. Part of the equipment was intended to represent another brand — Kentavr. 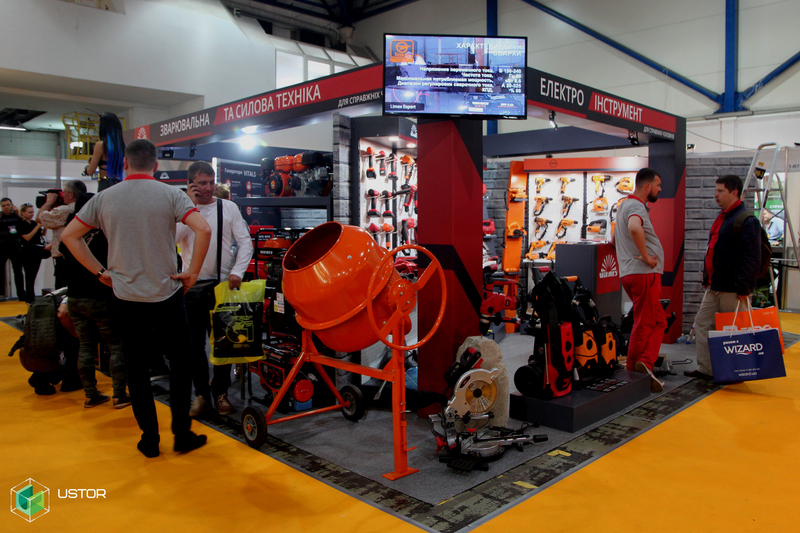 These 2 brands are being developed by AMT TRADE LLC in Ukrainian, and they produce similar products for construction, manufacturing workshops or just home. 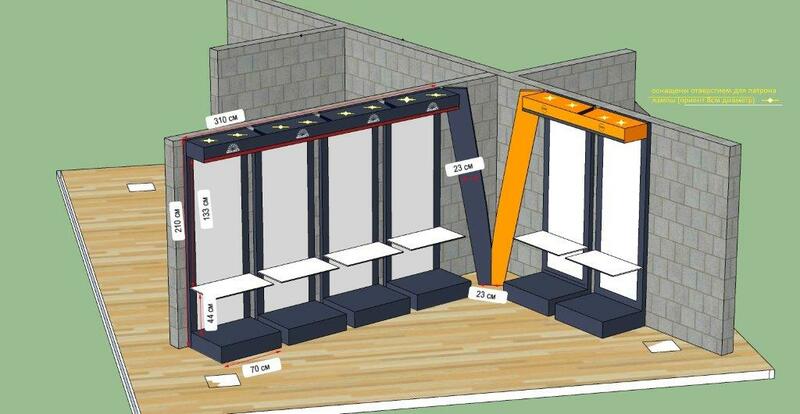 AMT TRADE designers have prepared sketches of equipment, indicating the sizes and load types. Our engineers have developed detailed engineering drawings using the design sketches. Detailed drawings are used at every stage of the production: from individual components manufacture to assembly. 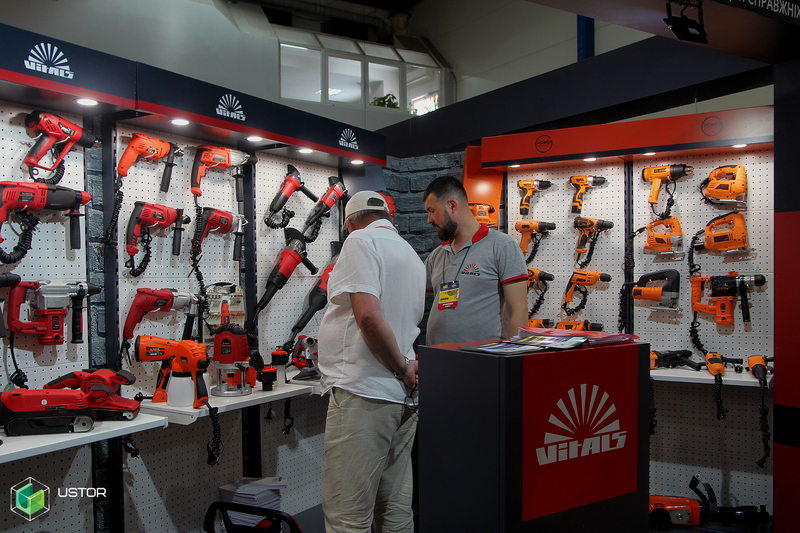 Our task was to manufacture displays for the presentation of pumps, power tools, park and garden equipment. 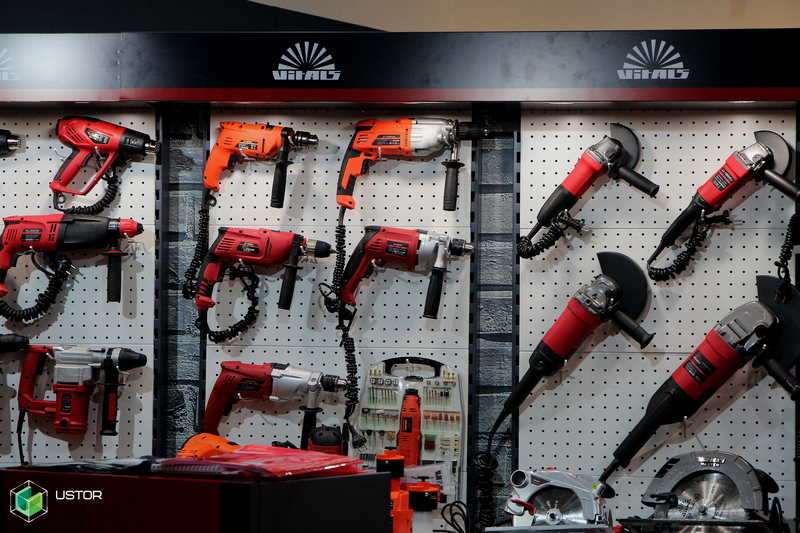 For pumps, we produced a corner display with shelves of different lengths and heights. 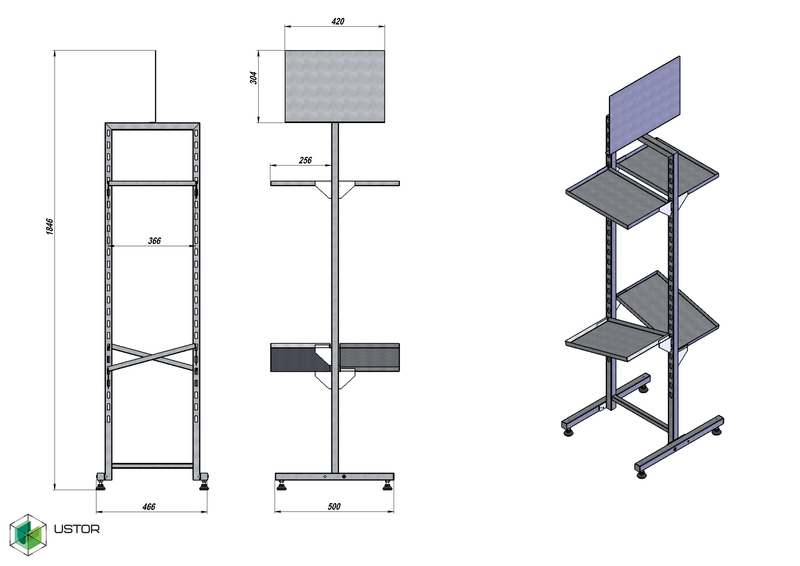 The upper shelves were designed for a load of 12 kg, and the lower ones – up to 70 kg. 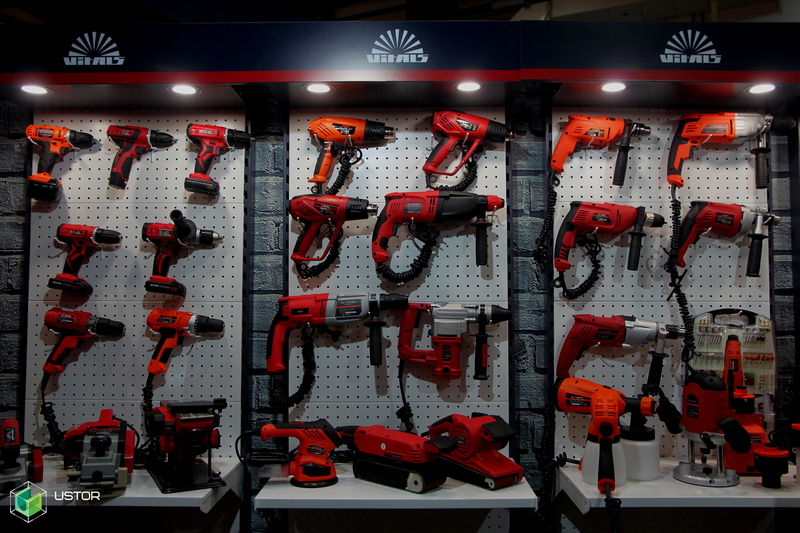 For power tools, we manufactured displays based on the RAF series with individual assemblies and accessories. To visually combine 2 lines of shelving, we used a V-shaped element, which is associated with the brand and has become a decorative element for the design of this part of the pavilion. 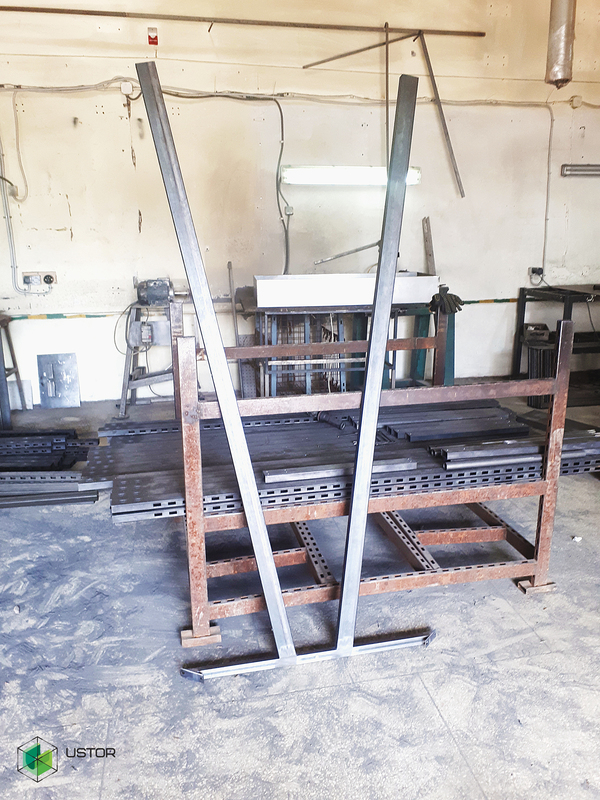 For park and garden equipment, shelves were made according to sketches with a possible load of 9 kg. We added metal cubes and durable shelving to the stand. The cubes did not only decorated the space but demonstrated products; durable shelving was used for bulk products. The shelves were painted in dark gray, red and orange – brand colors. 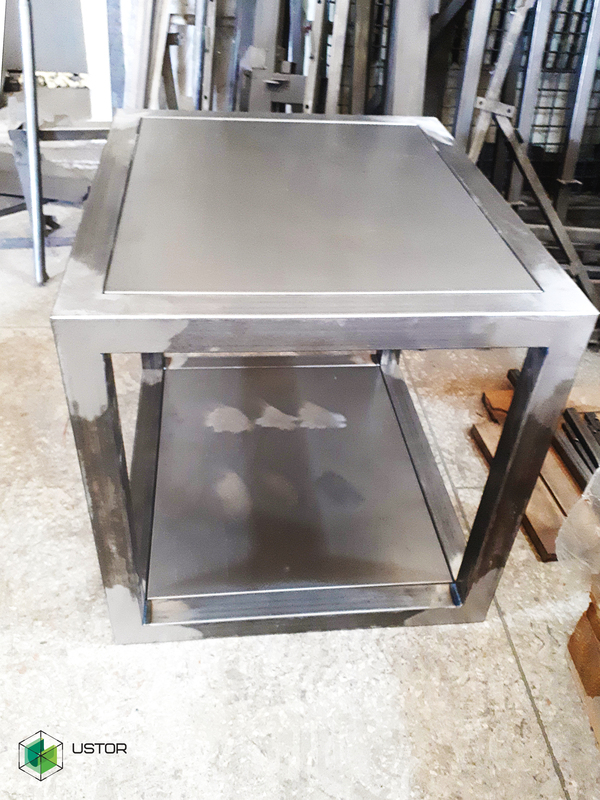 During production, we followed the agreements stipulated in the contract, fulfilled all the terms and conditions. 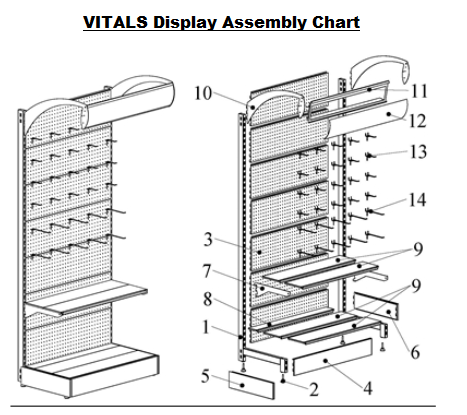 The engineers have developed a detailed assembly chart, according to which the customer managed to self-assemble the displays. The document contains the list of assemblies and accessories, step-by-step instruction, each stage is shown on the image in order to simplify the process. 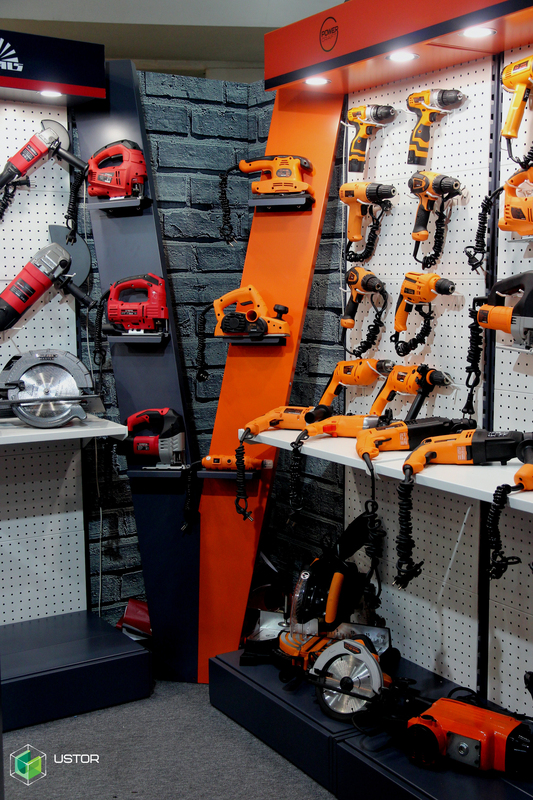 We met the customer’s deadlines, and they liked the displays that favorably were demonstrating their brand’s products.